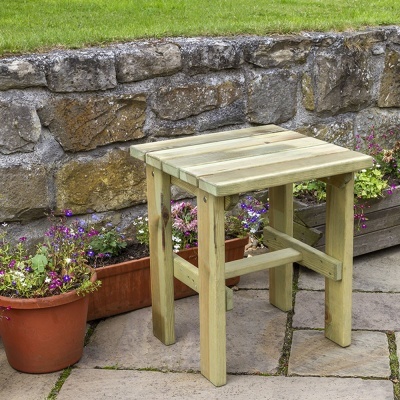 Zest 4 Leisure Lily Side Table offers a natural wooden occasional garden table ideal for placement next to garden seating on a balcony or patio. Constructed using pressure treated timber, FSC sourced from well managed forests. High quality solid wooden table large enough for drinks and snacks, water resistant & easy to assemble.